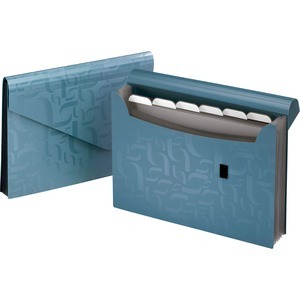 Poly expanding file features a unique and modern embossed swirl pattern. Seven-pocket file includes tabs with self-adhesive labels. Expanding file has a flap and adjustable hook-and-loop closure.